Bridging the Continental Divide was a project funded by the AHRC and based in the School of Humanities at the University of Glasgow between August 2012 and July 2015. The project's main aim was to produce an electronic edition of a selection of the Delitiae Poetarum Scotorum huius aevi illustrium (DPS, Amsterdam, 1637), the largest anthology of Scottish neo-Latin poetry ever produced, which was edited by the Fife laird Sir John Scot of Scotstarvit and the Aberdonian poet Arthur Johnstone. The resource provides original scans of the entire 1,272 page text, and a full transcription and translation of 11 of the 37 poets featured within it, totalling 335 pages. Each poem features a full critical apparatus detailing all scriptural and philological references cited, historical and social context, and biographical material on each poet. The website is open ended so that the remainder of the text not translated now can be added by scholars in the future. This resource will allow scholars to understand more fully when and why Latin was used in Jacobean Scotland, and how it interacted with the Protestant culture that dominated early modern Scottish society. Why 'Bridging the Continental Divide'? The project's title requires a word or two of explanation. Scottish neo-Latinists saw themselves first and foremost as part of an international community of renaissance humanists fascinated by the Classical past. Despite James VI's accession to the English throne in 1603, and subsequent negotiations over closer Anglo-Scottish Union, the majority of the Scots featured in the DPS identified much more closely with the cultural and intellectual life of Continental Europe than they did with that of England. The project seeks to explore this aspect of Scottish cultural identity in depth, and understand the sense of closeness they had with their European neighbours. The title also has a self-consciously modern meaning. 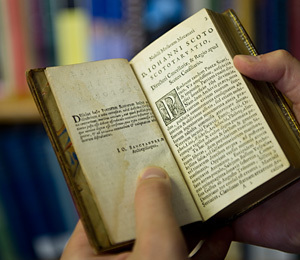 While scholarship on the culture of neo-Latin in England and in the majority of Continental European countries is well-developed, study of Scottish neo-Latin is largely confined to well-known 'political' writers such as George Buchanan, Andrew Melville, and David Hume of Godscroft. By providing a range of new case studies of less well-known poets, the project also hopes to bridge the current divide between the level of knowledge of neo-Latin culture in a Scottish context and that seen in countries such as France, England, Germany and Italy.